Loved your interview Alex and Happy New Year! Lots of interesting movies coming out. Best of luck with the new release in April. Too bad I can't enter the Goodreads giveaway since I live in London. I can be snarky, but I try to hide it online! I keep my snark on a leash since it's always ready to come out. Interval looks…interesting..
Yeah for Chrys! Our newest moderator at Unicorn Bell! Mortdecai. Spell check at work again. Oh dear - I thought I read in my blog feed - "Snarky Breakfast" - so I popped over asap. Does that make me an insecure reader? Sounds like you've got lots of good things going on right now. I really want to see the new Hobbit movie and Into the Woods. Great news about your book! April will be here before we know it. Blackhat and Taken 3 are on my list to see. Patsy, I let some snark out now and then. Dixie, that made me laugh! I hope the giveaway goes well, Alex! Best wishes on your new release, Alex. I want to see the new Star Wars movie. And I have to wait sooooo long. I'm so insecure I forgot to post for IWSG... Still thinking about my goals for the upcoming year! Congrats on your book! Sounds like things are going well, and even a secret project, that sounds interesting. 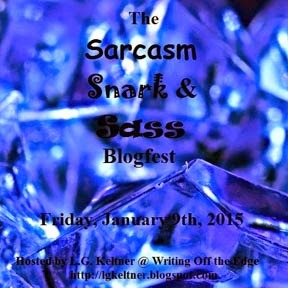 A snarky blogfest, what fun! The release date of the Paddington movie is pretty bewildering, I agree. Yay for everything coming together! It's an awesome book. I'm heading over to Chrys'. I thought Paddington was out already too. Weird. It's good to hear the tour and everything is coming together. Johnny Football does look like Eddie Munster. Things are really moving along with your book. Congratulations! Snarky? I intensely dislike that word though I'm sure many people probably think that's me in a lot of ways. I'd rather have some other word. I don't mind people making up words, but "snark" or "snarky"? Can't wait to check out the interview with Chrys. Heading there next. I'm actually excited for Taken 3 since it looks a lot better than the second one. Probably seeing it with my fiance this weekend while everyone else is watching football. LG is a quick wit! I thought that was Eddie Munster. Funny. So much excitement abounds, and I'm off to Chrys'. Congratulations on your upcoming new release, Alex. Sounds like even more exciting things in the works with your publisher. Congratulations. Sounds like you're keeping yourself busy. How do you find time for your job? Nice interview over at Chrys Fey's. Congrats on your upcoming book release and good luck with everything in April! It makes me go cross-eyed just trying to comprehend doing all that at once. Yay for the upcoming release! Go, Alex, go! You're starting 2015 right, and I'm totally stoked to see all the amazing things that happen this year. Thanks for keeping us all in the loop. You're epic. I entered the giveaway on GR. The book looks great! Congratulations! You are everywhere! Congrats on the 4th book! Awesome! I won't be watching Paddington - I hate talking animals, especially the stuffed kind! Too creepy! Deniz, that made me chuckle. Elizabeth, all the posters said Christmas, but it didn't happen. Lee, sometimes snarky just fits. Robyn, doesn't he look like him? Ken, fortunately there's a lot of down time. I entered the Goodreads giveaway for Dragon of the Stars! I will see you during L.G. 's snarkfest bloghop. Already wrote my snarky post. Movies in January . . . um, maybe, if I can, I'll watch a few on Netflix. January and February are those kind of months. I love the movies, but the best I can hope for during ski season is either Netflix or a random, let's-go-right-now-in-this-moment kind of movie night. Can't wait for your tour. I have a feeling you're going to pretty much take over the blogosphere for a week or so... In all the chaos, I missed the part where I was supposed to introduce myself and just went straight to my insecurity! That actually matches the way 100 percent of my public appearances have gone. Whoops. I missed the part about introducing ourselves. My bad. Boy was I wrong about your job. I had it in my head that you were a teacher. Where did I get that from? I thought you mentioned students - maybe I'm just going insane, slowly but surely. It sounds like you are in the perfect place on your next book. It's gonna rock!! Go You! I want to see American Sniper. Such a touching story. Oh, and I'm always feeling snarky! Congrats on your new release. Nice that your publisher is helping out so much, but considering how many sales you've given them, they should! Dragon of the Stars a new book in the pipeline and another Bestseller definitely. Congrats Alex it'll spur others on . And thanks so much for including Hank's 'Rainbow' together with the new releases. Was pleasantly surprised! Hope you've enjoyed your new year holidays. Looking forward to more guide and info for the ensuing year ahead! It is great to hear that your project is coming together. It must be a relief. I'm always available if you need help spreading the word. It is so fantastic that you play guitar. I've tried but my fingers are so stupid and really short. Have a great week. Love your Johnny Football snark. Curious to learn more about your grassroots movement - sounds exciting! I'm glad to hear your upcoming book is moving along toward publication. Oops. I missed the note to introduce ourselves. Although, my post gives some clear indication of what I write. Thanks for this group, Alex! Congrats on your new book! Awesome interview, Alex. Chrys asked some good questions. Best to you during your busy time ahead. I'm sending all the extra energy I can, tho I suspect you won't need it. Go get em! Oops, I missed the post asking us to introduce ourselves. After seeing the introduction bit on many blogs, I did a last minute mad scramble and did a introduction. Glad that everything is falling in place for your new book. I love the cover and the title. Happy New Year, Alex! Love the new book title and wishing you the best! Movies....I really want to see Wild and American Sniper. Happy New Year!!! I'm off to check you out at Chrys's!!! A great interview. Slow month for movies. Yolanda, they are a bit creepy. Thanks Stephanie and no worries. Elsie, definitely not a teacher! EE and Beth - thanks! Congratulations on your new release. You definitely aren't letting your insecurities hold you back! I would like to see Taken 3. Always love a man who fights for his family. Congrats on the new release. Giveaways entered. I saw two movies in theaters over the holidays (The Hobbit & Top Five) and not one single preview looked interesting to me. I'm hoping to get to see Big Hero 6 and Into the Woods before they exit...er,if it's not too late already. Good luck w/ all your release preparations! Dragon of the Stars sounds like things are going well and the release date is getting closer! :) Congrats! I love your snarky comment about Taken 3. Sandwiches can be bad too. Did you ever see the episode of FRIENDS where someone ate Ross's sandwich and he want crazy? Taken 4 - Return of the Eaten Sandwich. Scary. :) And can I say that Paddington looks kinda dumb? Good book, but the movie... meh. Mortdecai looks pretty funny. Perhaps I'll see that one over the MLK weekend. We are going skiing, and we might be looking for a way to spend an evening. What a great idea to have an introduction! I love learning more about the peeps we follow. Although, we got Guardians for Christmas and I've watched it like a million times already! Can you wear out a blu-ray? Thanks for sharing all the snark! My post is up and I got it done before 8 central time. That's an accomplishment for me. Happy IWSG post day, everyone! Congrats on all the new releases out there. Heading over to Chrys' blog now. Thanks for participating in my blogfest! Your snarky offering gave me a good laugh! I'm glad that everything is falling into place for your new release. It's an exciting time! Good luck with your upcoming release! It sounds like you've got a recipe for success prepared. Entered to win your book. I need another good sci-fi experience to start off 2015! Thanks for posting about Sudden Secrets. Really appreciate that. Nicki, not too many films pushing them out of the theater this month. Krista, that made me chuckle. Heather, fortunately that Bluray will last for years. Lee, thanks and you're welcome. Whoah...you dare to cast Johnny Football in the same league as Eddie Munster? Oh my. I think I almost fell out of my chair laughing. Good one sir, good one. Isn't it great when everything falls into place? Sounds like there's not a lot to be insecure about, as it should be. I'm gonna read that book one way or another so I entered. Snark is my life. And great caption. In that picture, he looks like he's channeling Alfred E. Newman. "What, me worry?" Yes, you worry. You can't throw a football and that's your only job. Learn from Tebow. I too wish the Paddington movie had been shown during the holidays, when my husband and I were considering films we could take our children to see during break. Like Candilynn, I am heading over to Chrys' blog right now. PADDINGTON was scheduled for a Christmas release. Colin Firth was also the first voice for Paddington, so perhaps the re-dubbing took longer than expected or they did not want to go head-to-head with FIVE ARMIES! Can't blame them there! Oh, and Paddington looks like a cute movie. Too bad it didn't come out sooner. All caught up on the news now. Not sure if I said thanks for the shout out with my new novel.If not, thank you! Wishing you all the best with this year's goals. Hi Alex, after years of lurking, I've finally decided to become an active member of IWSG. Thanks for developing a community for us neurotic authors. Congrats on the newest book. I've been looking forward to Black Hat ever since I saw the previews. There's a $2.00 movie theater close by and I'll be catching up on some of the movies I've missed during 2014 this weekend. Hey, Alex! Thanks for the giveaway--I entered. Great snarky comment for an Ohio team quarterback! And I can't wait to see Blackhat as well. Just come from Chrys' interview! Sounds like you have everything sorted for the new release. I think April is going to be a crazy busy month for you. Sorry I didn't post an intro on my blog, I somehow missed the request. If I get chance later I will add one. Congrats on the book and a prosperous 2015 for you Alex. I had to share your snark with my husband. With so many super football fans in this house, there have been a lot of jokes about Johnny Football. Great interview on Chrys' blog. Depp wastes his talent on strange projects. I'm getting really excited about Dragon of the Stars. I can't wait for it to come out! Michael, glad I could amuse you! Brandon and Bryan, well said! Roland, you have a point. Chrys, but of course! I'll be sending people for days, plus you are a co-host. David, good to hear you're enjoying it. Susan, that's because he IS a joke. I've been off-line about 3 weeks and pre scheduled my IWSG post Christmas day. I didn't know we were to introduce ourselves. Oh well. Sounds like you are taking charge of this year already. "Your friends are with you Alex." Ten cheers (three are not enough) for writers everywhere. And I do like a bit of (a lot of) snark. I missed that I was supposed to intro myself. I'm always spacey, which is probably why I write about it. :) I'll happily help promo your new book. Sounds like exciting stuff is happening. Congrats on your fourth book. I'm so happy they are best sellers on Amazon! Would love to hear you play the guitar someday. Congrats to those with new releases. And, Alex, I always enjoy your movie updates. Today's had me laughing. I'm off to check out the interview. No movie on January that sparkles my interest. Oh well, I went to the movies on December enough for two months. Got to see The Hobbit twice and the penguin movie too. Whatever mystery project you have in your hands, dragon and dwarves will be happy to promote when time comes. And I entered the giveaway! Dwarves wanted to enter too, but they are way too lazy to open their own accounts on Goodreads. Diddo what everyone else is saying regarding your latest release! Congratulations! Don't tell anyone, but I think I'd like to see Mortdecai. I love your premise for Taken 4 about the stolen sandwich! I look forward to your interview with Chrys! I also can't wait to hear about your secret project! Congrats to all the authors! Oooh, a secret project. Can't wait to see what it is. Thanks for the 411! I think the only January movie I really want to see is Strange Magic. Oooo a Secret Project. I like those and will look forward to the reveal on that. Go! We are already intrigued by your secret project! I forgot to intruduce myself. I will have to remember for next month:) I love snark and sass like your little snark about Depp...so true and how sad. I don;t think Paddington Bear will be like Ted. In fact Ted make kick the stuffing out of Paddington Bear. A new year begins!! Happy January! I've entered your giveaway. Hope I win! Can't wait to hear about your secret project! As for movies... I am an avid movie watcher and all of the January releases you've listed appeal to me. Love Liam N! I introduced myself on my ISWG post today, which was a nice lead-in to my insecurity post for today. Donna and Mary, no worries about the introduction. Al, glad you saw The Hobbit twice, Thanks for the offer of help and I knew you'd appreciate that the giveaway is open to Mexico. Birgit, next month is fine. Thank you everyone. Off to visit more. I will get to everyone, I promise. It shocks and amazes me every time you say you never even wanted to be a writer. How does this happen???? In my opinion, writing is hard work... ahem. Maybe that's just me. Paddington over Christmas would have been great! My older (grown) boys were talking about the new 'Taken' over the holiday break. They were laughing and saying no one was going to be taken, in a movie called 'Taken.' haha, that's all I remember. I haven't seen any of them. I like Johnny Depp in some things (loved his Mad Hatter)...I don't think that movie looks appealing though. Maybe I'll be wrong. Congrats on your upcoming book release! Happy first IWSG of the year!! And congrats on the upcoming release. I didn't even realise that there was a new Taken movie coming out! I didn't know about the bio, but I just typed on it really fast. LOL. Congrats on you new book! I really like the cover and I know it will be a huge success! Congrats to Lee and Hank on their new releases. ALL THE BEST to you both!!!!! Always feeling snarky... lol. LOOKS like a fun blogfest! Oh, and see, I think that looks like prime Depp. I love his quirky humor stuff and oddly, Gwynyth seems the perfect counterpart for it. You are next on my reading list, Alex! Then I will get you some interview questions! I love your snarky comments, especially the ones abut the new movie releases for January. Only one there that even remotely interests me is 'Paddington', but then I'm a sucker for bears. Suzanne, I wonder why the USA is getting it so late? Anyhoo, I look forward to hearing more about the secret project in the future! Whew! I made it in under the 200 comment cut-off! I'll love to have this problem, Alex ~ but it might put me over the edge. I did try your way of responding to a number of people in one reply box . But I admit, Pat Hatt is my hero when it comes to replying. He is OCD about it, and it's awesome. I try to do what he does, but I'm ADHD, so I often miss the mark! Loved your review on Chrys's blog, You are inspiring! And I can't wait for Dragon of the Stars to come out! I truly would have read your CassaStorm with my after school Gifted and Talented literacy group. Or regular middle school, early high school kiddos! Have you ever considered presenting at one of the International Reading Association conferences, especially the regional ones? Have a good one! My writing insecurities? Is it possible for it to be all of them? Doesn't seem like there are any interesting movies this month. Oh well. Happy New Year. I didn't know we were supposed to introduce ourselves, so I did just that on FB. Congratulations on the new release and new project. I hope you have a great and prosperous year. I entered both giveaways. Love to read. Yes, I introduced myself. Congratulations on your latest book. Enjoyed your interview at Chrys' site. All the best on your upcoming release in April. What a month for you!! Congrats on the new book! See what happens when I go away for a while. You get a new book. Geez... :) I'll be reading the interview as soon as I leave here! All the best to you, Alex, in 2015! Thanks for all you do. You are an encouragement to me and to so many!! I had no idea what Liam Neeson's character's name was in that movie, and I've seen it twice. Congratulations! Looking forward to hearing about your secret project! Happy New Year! Wow being an author definitely choose you! This group is an interesting idea. Congratulations on your publishing success. Congratulations on your release! I love that you put so much into IWSG. It's a really great thing you've done. I'm so glad you continue to have great publishing success. And as for sass and snark, I have a little bit to share. 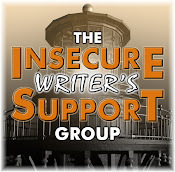 I put a little sass on display at my blog for my IWSG intro post. It was such a fun post to put together. Wishing you the best for this new year. And best wishes for Dragon... As I said before, I love the book and I'm sure it will be a huge success! My favorite part of your bio? That you never wanted to be a writer! Thanks for all you do, Alex. Happy New Year! I've been so out of the loop, I didn't know I was supposed to introduce myself in this month's post. Sorry about that. Loved your intro. You book's going to be out in no time! Congrats on everything lining up. Intrigued about your mystery project. Happy 2015! Oooh, I'm interested to see what the secret project is :). Sounds very mysterious! Also the Paddington movie bothers me because the bear doesn't look much like the real Paddington :(. Ah well. Good luck in 2015, Captain! You do so much I think you must be at least twins, maybe triplets. Secret project aside, there must be more secrets. You're a Time Lord? No I didn't introduce myself, but I was sure happy to introduce Kara. Woo-hoo! Hi Alex - I thought I'd drop in to say Hi - First, Happy New Year, gosh a week is gone already; where did it go? Next - congrats on your upcoming book release - I'm curious about the grassroots bit… intriguing. Good luck with all the promotions and tours - I'll keep my eyes peeled. Sounds like exciting progress toward your book release! Do you go to in person cons for advertising or do it all online? Blackhat looks good, but I might wait for Taken to be on TV even thought I'm in love with Liam Neeson. How ironic that you didn't intend to be a writer but your natural gift manifested itself anyway. Congratulations on book number four! May it take off like a rocket at the sci fi conventions! Congratulations on everything going on with the new book. I'm only a teensy bit jealous that they'll be all over the sci fi conventions. Hopefully that could be me one day! Secret project? I like the sound of 'grassroots movement'... it normally implies volunteers who are dedicated to the cause! Can't wait to hear more about it! I love snark! Need to include more of it in my writing! Congrats to everybody who has launched something new! Congrats on the new book! A secret project... Dare I ask, Ninja Captain Mister Space Opera guitarist? Tha's a mouthful. Hank.... wrote a book? Well, what do you know! Well done, Hank! Fundy, thanks! And no, I hadn't thought of that. Sandra, some days I don't. Like yesterday. Hey, Michael - welcome! I will visit you today. Angela, you did sass well. Sher, it would be cool to be a time lord. Shannon, my publisher does ads and sends material for attendees. Michelle, I'm hoping for those volunteers. Blue, he did write a book and then didn't tell anyone! Thanks everyone! I will be around later today to visit all of you. Sorry, always so overwhelmed with IWSG post day. Congrats on the upcoming release! Enjoyed the interview and entered the Goodreads contest. keep rockin' the space opera universe! Love the title of your new book! Awesome giveaway too! So many great releases! Wow, you've already got several pages of entries on that giveaway! Nice going, Alex! And I kind of like Johnny Football's haircut. Dorky, but probably helmet-hair friendly. You don't need me to be, but I'm so proud of all that you accomplish on any given day. Plus you write awesome books. happy new year! i had to go back and read posts i've missed - esp the fave movies of 2014! i loved all those too - guardians of the galaxy is my current all time fave. just so much awesomeness from beginning to end! and congrats on your upcoming release - you are so big! love the sound of the snarky blog hop - ha! Hi Alex - Paddington is British and was released here in time for Christmas?! Such is life .. lots of good movies around .. Cool on how things are going for your book release! I'm signed up on both giveaways, and I read the interview, which was great! I want to see Blackhat... and, I still have a Paddington Bear my mother gave me when I was sixteen and going to the UK for the summer! Yep. Paddington is an ooooldddd bear, LOL! I am so out of touch with the movies I've only heard of Taken 3! I'm excited for your new book, Alex! John, that made me chuckle. Tara, Guardians is just awesome. Hi Alex! Paddington might have had a time competing with Baymax, penguins and Robin Williams. Katniss? Good intro and life is full of surprises. I want to see Mortdecai. Movies of all forms are coming. Good snark and sass Alex. I even detect a little sizzle. Alex, CONGRATS on your upcoming book release! Hehe, I liked your snark....it's rare to see, for sure :) Best of luck with the new book (though I doubt you'll need it) and looking forward to finding out what the secret project is! Paddington sounds perfect for Christmas. Sorry it wasn't released then. Looking forward to learning more about your secret project. I entered the Goodreads giveaway, Alex. Congratulations on the upcoming release of Dragon of the Stars. Yes, it seems interesting Blackhat! Looking forward to you new book! I'll hop over to Chrys's place. "Blackhat sounds like a racist movie to me. We much prefer 'Hat of Color.'" April seems simultaneously so close... and so far away. Congrats on the impending release! We had Paddington before Christmas in the UK. Were going to take the kids to it, but it never happened. A cinema trip with three kids is a big investment these days! Mark, I do like the snark. I'd like to see Mortdecai! A secret project ... ooh, la la! Happy New Year, Al. And how cool that your publisher is sending prelim materials out to Sci-Fi conventions! That sounds exciting. 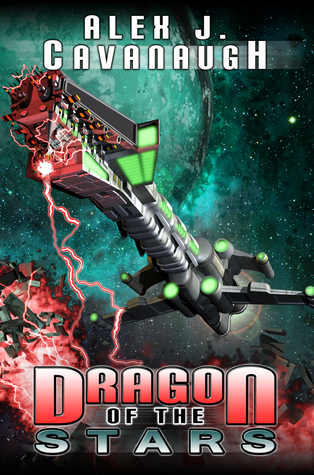 Dragons in space, is that like pigs in Space? Happy New Year! It seems to be off to a great start for you. I'd like to see Paddington. Hi Alex, nice to meet you. ;) Kidding. Sounds like you have big plans for 2015. Good luck! I'm feeling snarky because I'm in pain from the surprise root canal I just had. >_< That is all. Thanks Blue! It's a compilation of all my blog postings. Otherwise all will just fizzle off if not compiled! What's your favorite colour and do you like walks on the beach. Good job, Alex - but I'm still looking for more. Such a nag, I am. My comment is all about Paddington. Mr. Brown is being played by Hugh Bonneville who is Lord Grantham in Downton Abbey. And, yours truly is a good friend of Michael Bond's daughter - these days the Paddington Bear company is her responsibility. Just thought you'd like to know. I'm glad to hear all the preparations for Dragon of the Stars are under way and doing well. I can't wait to hear about the surprise. Congrats to LG on 3 yrs blogging and to Lee on her new release! Um...looks like I won't be seeing anything at the theater this month. O.O Awesome news about your book though. So close to release!!! Thank you for always making it so easy and fun for the blogging community to connect! Love the title Dragon of the Stars. Very catchy. My insecurities? With two fall launches I did so much darn promo stuff that it's hard to switch gears and delve into writing. But I am doing it--very slowly and in fits and starts. You know, I don't think I ever saw Taken 2. I'll have to borrow it from my brother and watch so I can go see the third one. Blackhat looks pretty good as well. Haven't heard of the others, but I'll watch for them. :D Have a great weekend! I didn't introduce myself. I've been out of touch the past month but at least I had an article. Points for me. I find I have a lot to catch up on :-) But, I'm taking it a step at a time. Congrats to Lee on her release. I enjoyed Dragon of the Stars. Very entertaining. I need to get up a review on it. Alas, I'm behind on those as well. One step at a time. Taken 3 seem to be too many parts already! The previews for that Paddington movie creep me out. I will most likely take my grandkids but will probably have nightmares. Excellent! I love secret projects. 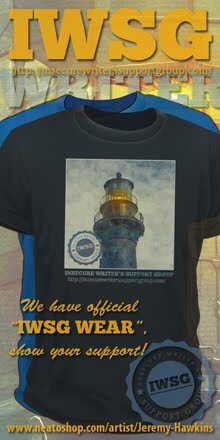 Also, I absolutely love all the work you put into the IWSG. It's such a great part of the community. Thank you! Suze, they've done it for all of my books, which is just awesome. Ivy - black and yes. Sylvia, thanks for being a part of it. Catherine, shifting gears is tough. Sia, no worries. And thanks! Glad you enjoyed it. Annalisa, sounds funny when you say it like that. Doreen, no worries - you had bigger things to think about. Rena, glad you appreciate it. Congrats on the book! If there's anything I can do to help, let me know. I think you have my email addy. And thanks for coming by WU. I'm heading over to Chris's right now to read. Happy New Year, Alex. I planned on seeing Taken 3 this weekend but it didn't work out. Have you seen it yet and if so what did you think? PS If you are doing any blog hopping for Dragon, please let me know. I'd love to have you. Blackhat could be cool - I like Michael Mann! And what is this secret project you speak of...? Keep up the great work, Alex -- hope Dragon attracts a whole batch of new readers. Ninja type dude, for a guy who didn't contemplate being an author, my, you've come along ways baby! I have this excellent excuse for taking so long to get to blog sites. My computer is slower than a parked car. Must get a new computer! Yes, I like the cover of Dragon of the Stars !! Congratulations on yet another book. Happy New Year and congrats for your new book. 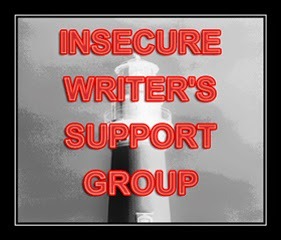 Thank you so much for visiting my IWSG-post for January, You are first commenter and have received a link back to your blog. This is kind of embarrassing, but I have yet to read any of your novels. I plan to though, because I have gotten more and more interested in science fiction, I'll start with you first novel. I have loaded down your kindle-app on my computer, so we'll just have to see if I can do this. Roz Morris latest how-to book on plotting is out in a kindle edition, but I can't get it in Sweden, so I am waiting for the paperback version. But you could probably download it through Amazon.com. Depp has done a few movies in recent years that haven't drawn me in at all - like the vampire one, and one that's apparently a musical?!?! I love music but for some reason most musicals make me cringe. I missed the call for an 'intro' in the IWSG. That'll show me, should have paid attention to the IWSG blog! Hooray! I've ordered your first three novels in paperback! How exciting on your latest release. Congratulations! Hahahaha, I give you such trouble. But it's out of kindness, I promise. Your answer cracked me up. Have a great week. I'm still couch bound but at least it's super duper bright in the movie room.